Easily the best hostel in Israel! 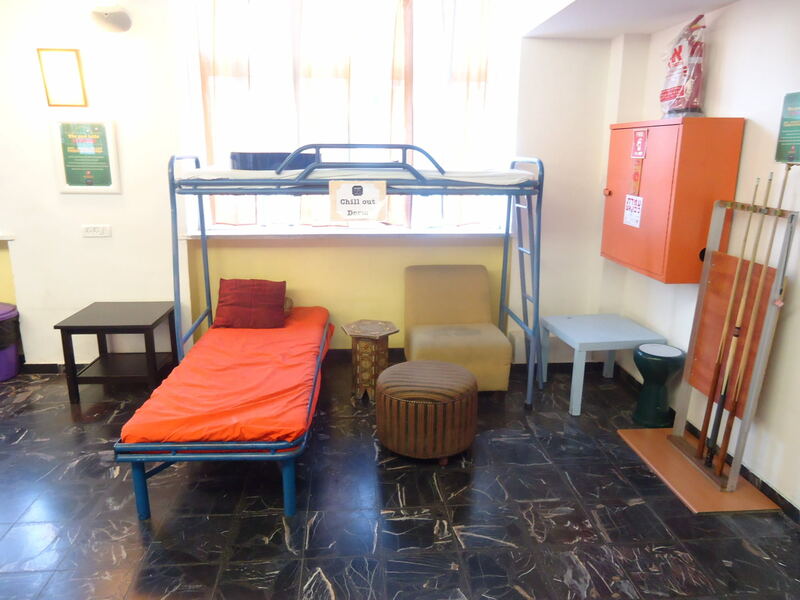 Abraham Hostel, Jerusalem! 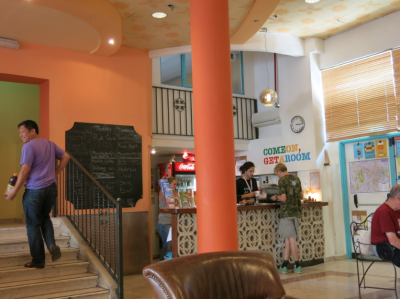 Checking into the Abraham Hostel in Jerusalem, Israel. Not only is there free Wi-Fi in every room, but it’s fast! For a hostel this is amazing. In fact, on my travels it’s the fastest ever Wi-Fi I’ve had in a hostel room. 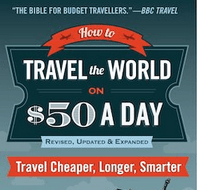 For a travel blogger who works online on the move, it’s heaven. I got quite a bit of work done at night having been out and about for over 10 hours each day. We were in Room 223 – every room had fast Wi Fi! 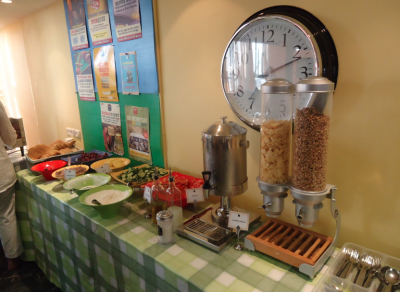 Not all hostels offer free breakfast these days, but Abraham Hostel does! 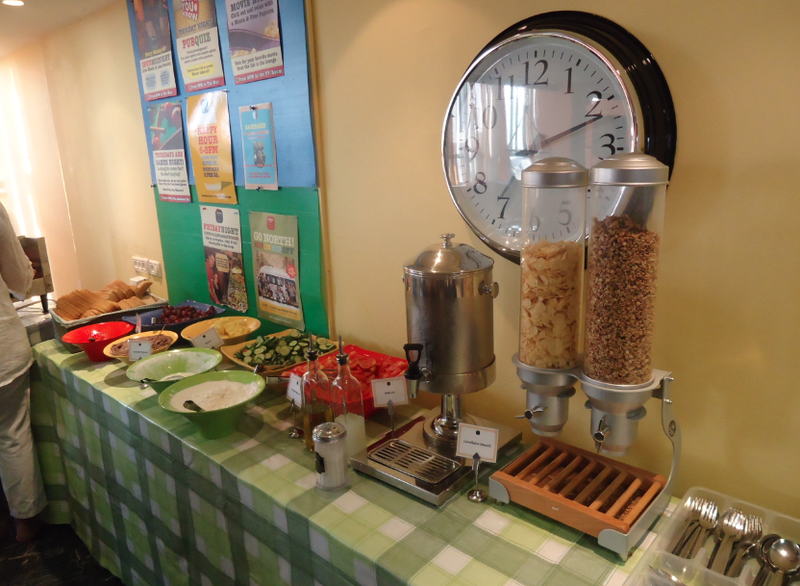 A free continental breakfast is served daily from 7am – 10am on the first floor. Just make sure you wash your own dishes after eating. Free Breakfast from 7-10 am in Abraham Hostel, Jerusalem, Israel. The staff are the coolest ever. I hung out with Itiel on the pub crawl, I chatted backpacker stories with Yoni, I toured Palestine with Andy and I helped out in the kitchen with Or the chef. The staff not only make you feel at home, they become your friends while you’re here in Abraham Hostel. 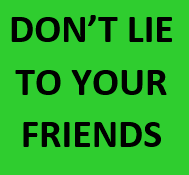 Don’t forget to make as many friends as you can. 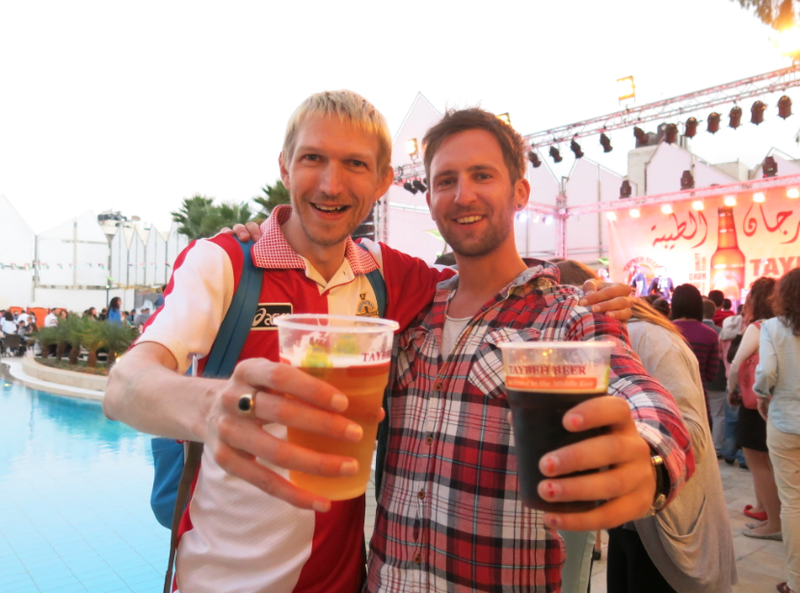 Having a beer with Andy from Abraham Hostels at the Taybeh Beer Festival in Ramallah, Palestine. If you’ve read my stories about pub crawls in cities like London, Christchurch and Buenos Aires, get ready for the Jerusalem Pub Crawl. This one was the nuts! I’ll be including it on my Thirsty Thursdays sometime soon! Partying on the Abraham Hostels pub crawl in Jerusalem! I love the whole idea of meeting people in kitchens and dining areas. But I don’t like getting in people’s way. 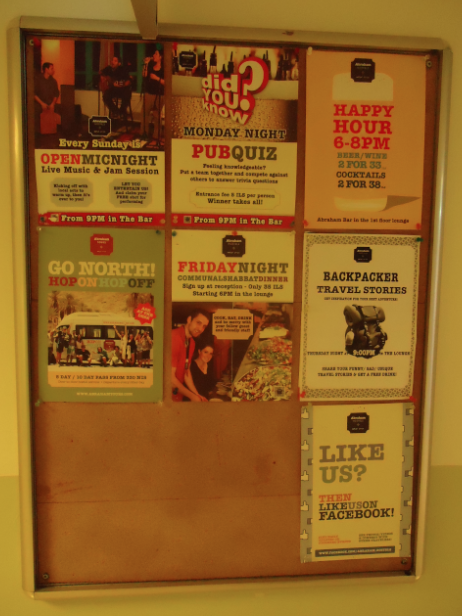 Thankfully Abraham Hostel is massive so we’re all sorted. Go in for breakfast and eat with others and get chatting. Same goes for lunch, dinner and well…any time of day. I met travel buddy Luke just from the communal eating. 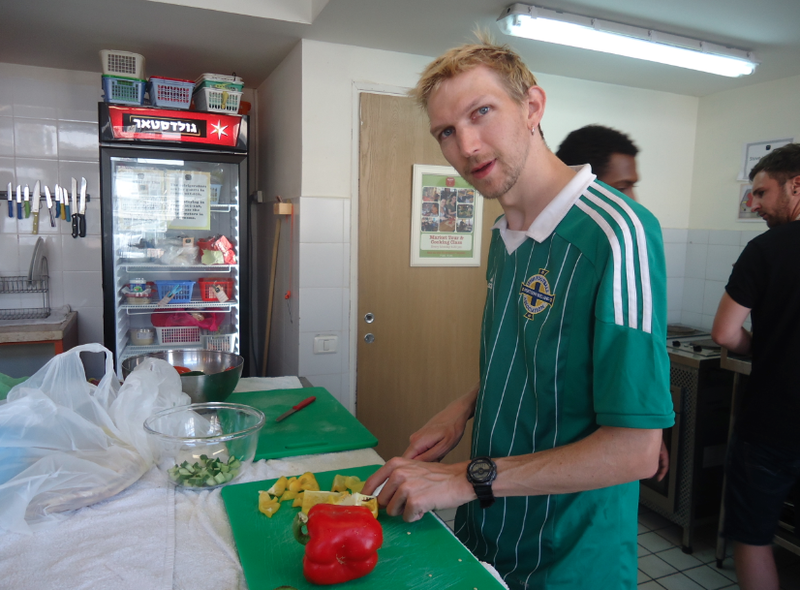 Massive communal kitchen and dining area – chopping peppers. What can I say? 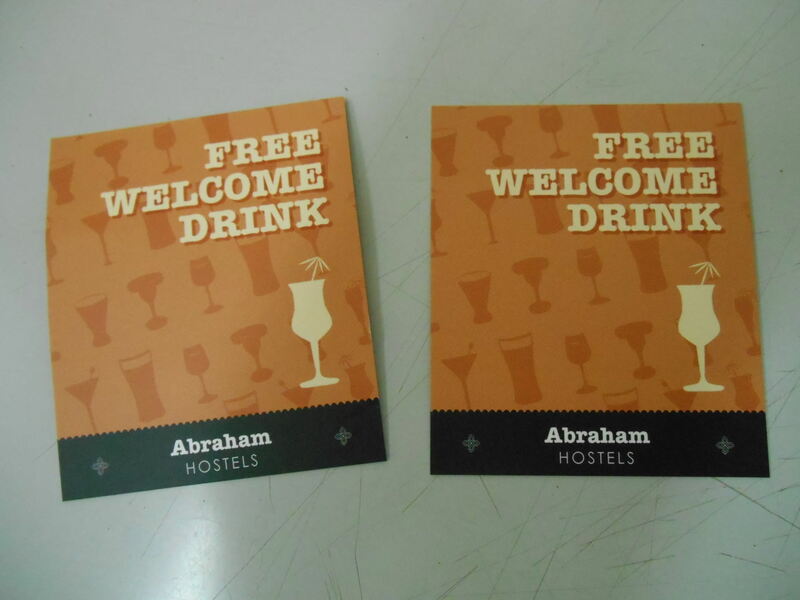 The Abraham Hostel has a bar on the first floor and you get a welcome drink on arrival! Amazing! I opted for a draught beer. Reminded me of the excellent Guesthouse Amice in Suriname from a few years back. 7. 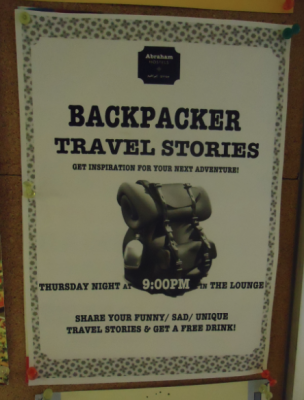 Thursday Night is backpacker story night! Every Thursday night in the lounge, travellers meet up to tell a crazy backpacking story!! This is your chance to share your travels, meet some cool people and get a free drink! I got a free shot for telling my tale about feeding hyenas in Ethiopia. Every Thursday Night – tell a backpacker story in the Abraham Hostel – meet cool people and get a free shot! 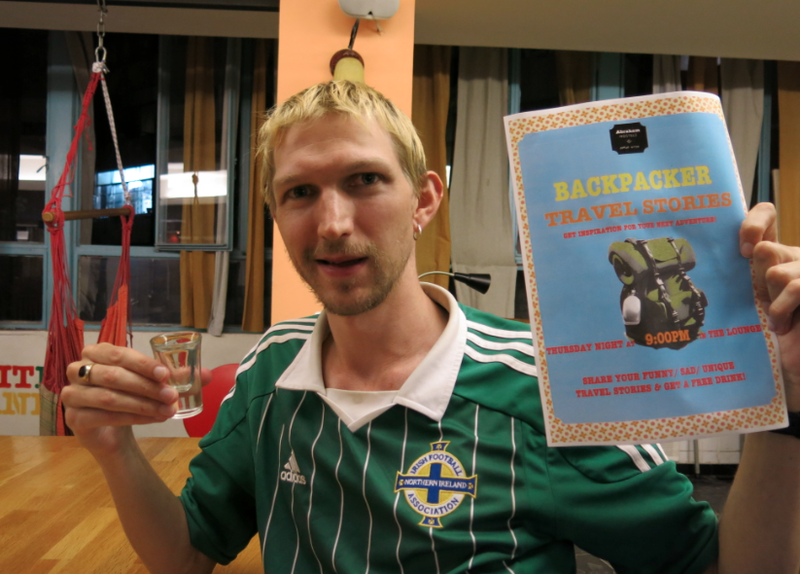 With my free shot in the Jerusalem Hostel Israel after telling my backpacker story! 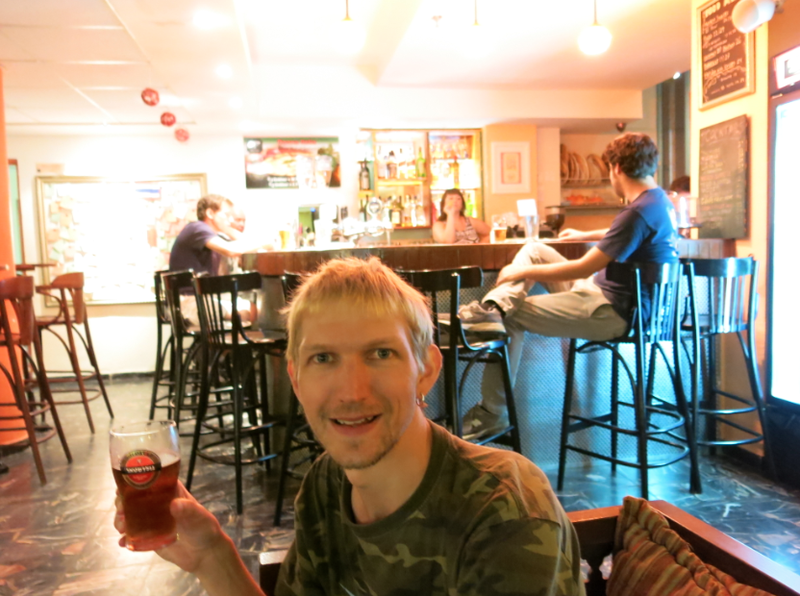 Gotta love a hostel that has a bar for a start. Even better – there’s a happy hour. Best time to head down is 6-8pm on Happy Hour. The bar is also open in the morning for juice and coffee. Happy Hour time in the bar! 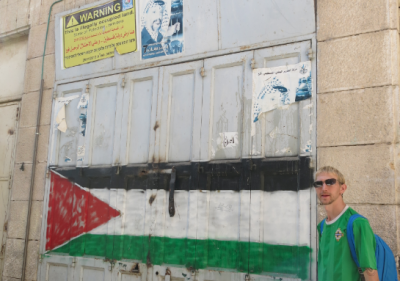 Backpacking in Hebron Palestine on one of the Abraham Tours. Spotless. Clean rooms. As someone who isn’t fussy at all when it comes to clean rooms, this time I loved walking through the door and seeing how the bed was clean, the floor was clean and the bathroom was clean. Amazing! So clean! Loving the clean and cosy room in the Abraham Hostel. The spacious and sociable lounge and bar area. 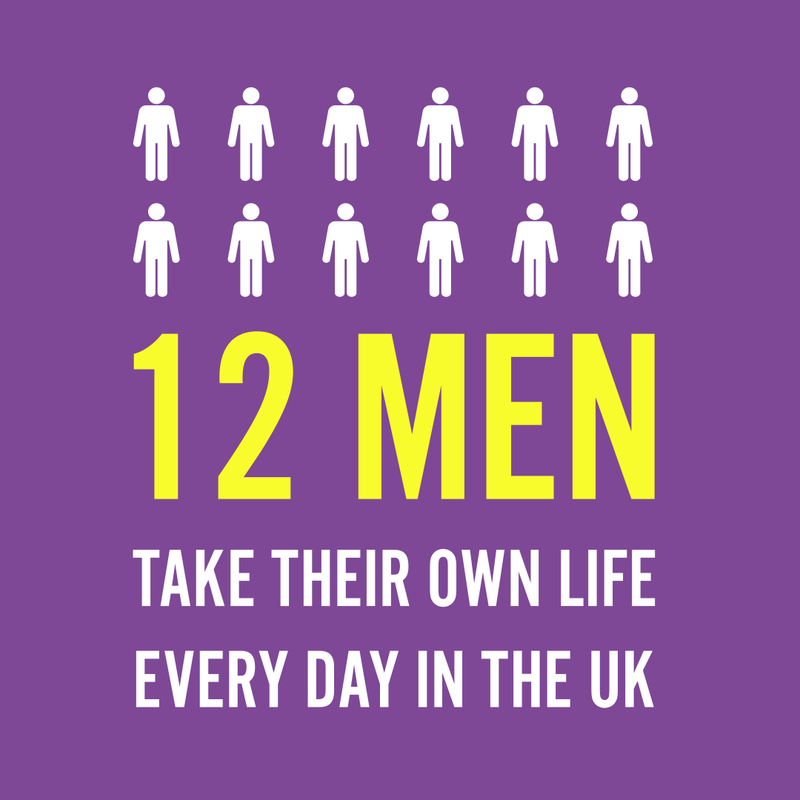 Yes – they have one. OK you have to pay for it – but remember back in the day even Jesus and Moses had to use their hands to wash their clothes. Put your money in and press the button and leave the machine to do it. Dryers too of course. 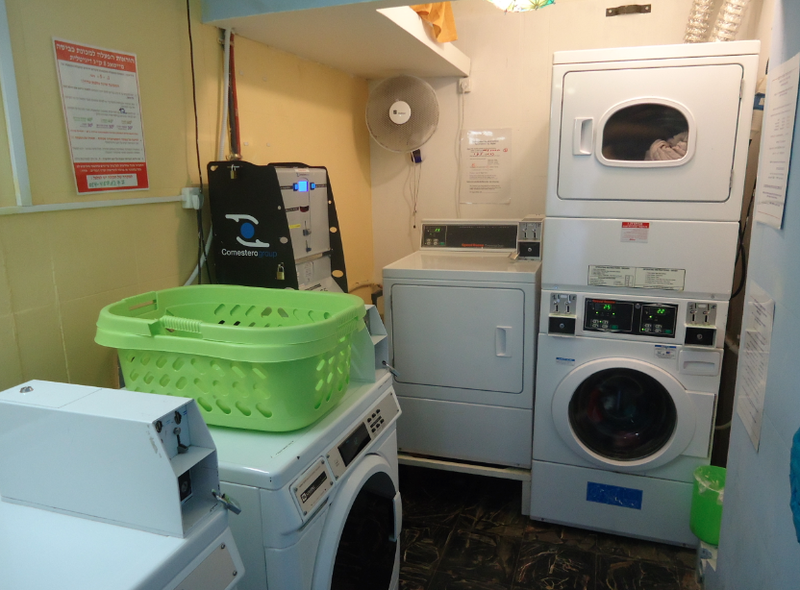 There’s a laundry room at the Abraham Hostel, Jerusalem, Israel. After check out you can store your luggage here and in a safe room. Just a minute walk from the tram stop and not too far to walk from the main train station, plus its on a prominent corner so you can’t miss it. Also it’s close to the Mahane Yehuda Market. 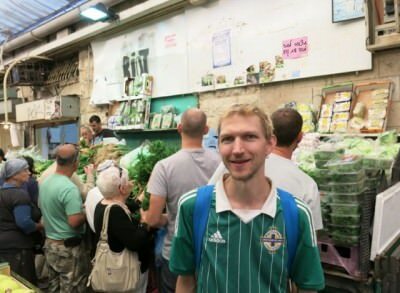 At the Mahaneh Yehuda Market in Jerusalem, Israel. As well as being squeaky clean, the rooms are spacious and cosy! We had a double room with an ensuite and a kitchen area. 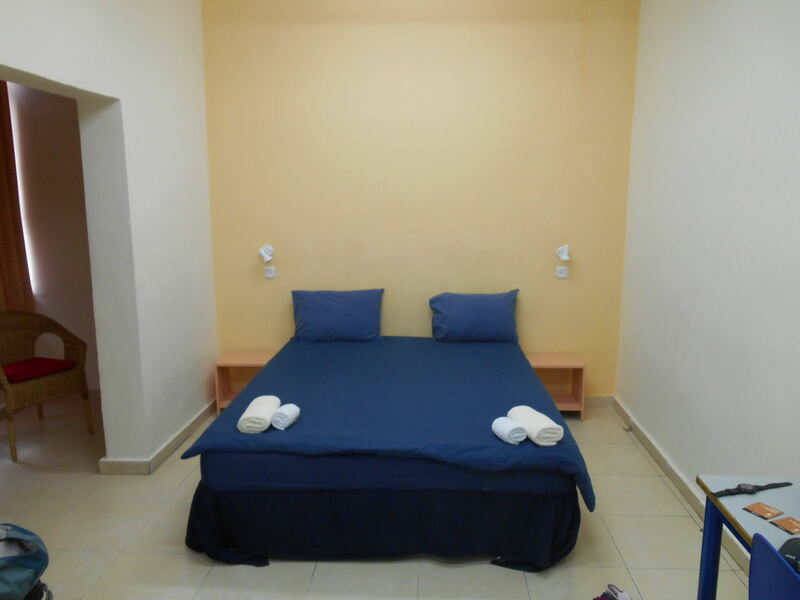 Our double room in the awesome Abraham Hostel in Jerusalem! 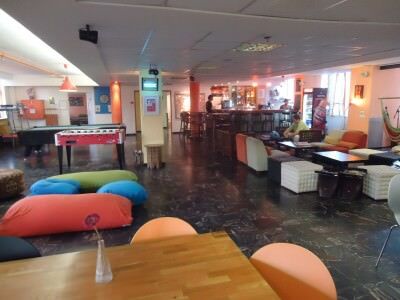 The lounge on the first floor of the Abraham Hostel has a “lazy dorm” – perfect place to chill out and relax if you’re too knackered to make it to your room! The lazy dorm part of the lounge! Abraham Hostel has a load of activities. There is something different on every night and day so there is an endless list of things to do. 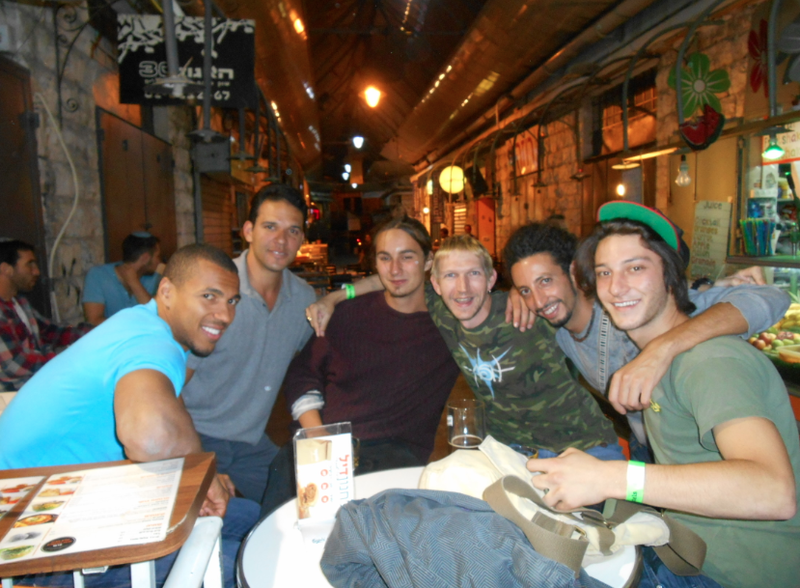 There is always something to do in Abraham Hostel, Jerusalem, Israel. As I mentioned there is a massive kitchen – the best times to be in and around the kitchen are on food nights. We enjoyed Shakshuka for lunch one day with Or the Head Chef and Ben from Tourist Israel. 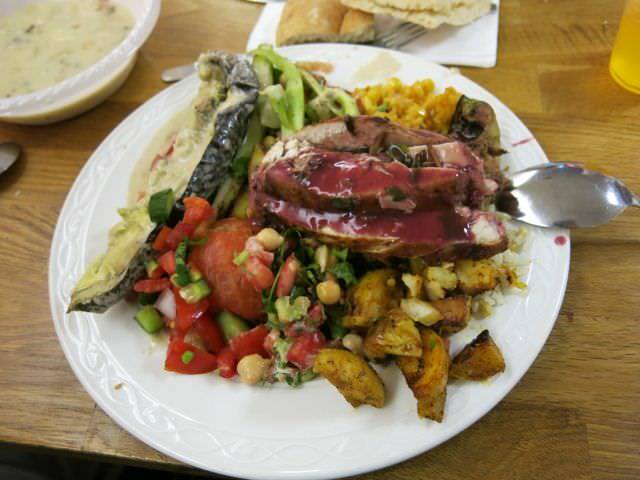 We also had an amazing dinner on the Friday night which was the Shabbat Dinner. A real feast, see photo below! You can already see my post on Hummus in Akko and the tour of Mahaneh Yehuda Market. The Shabbat Dinner at the Abraham Hostel in Jerusalem. 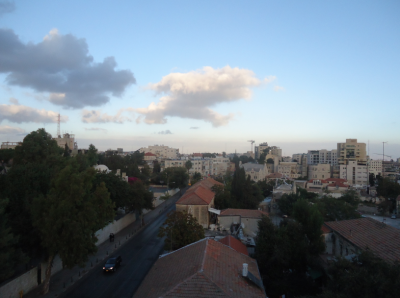 In summer months, the rooftop balcony is the place to chill out, relax and watch the sunset with a view over Jerusalem. Rooftop view from the Abraham Hostel in Jerusalem, Israel. As an added bonus and to keep all their customers happy, the Abraham Hostel have all these cool quotes everywhere around the hostel. 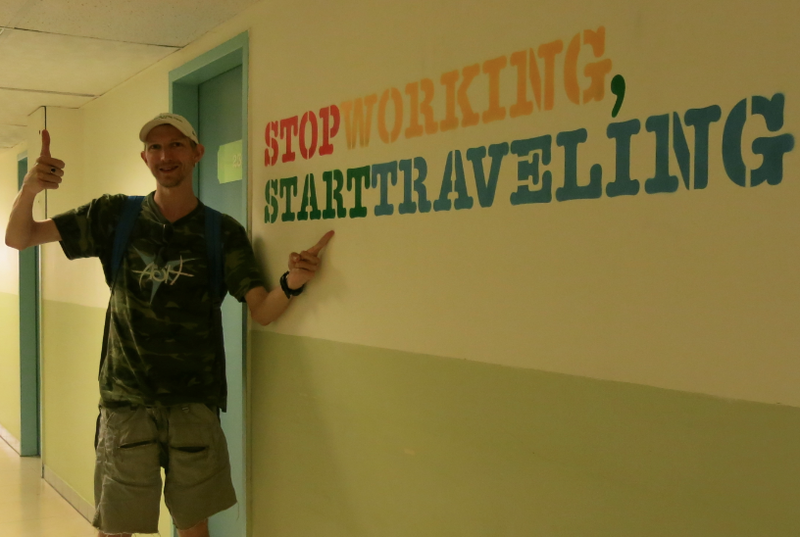 I LOVED the “Stop Working, Start Travelling” quote – inspiring. One of the many cool quotes around the Abraham Hostel in Jerusalem, Israel. Stop Working, Start Travelling! 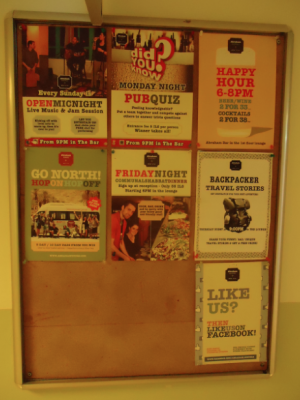 So that’s my take on this cool place – Abraham Hostel. 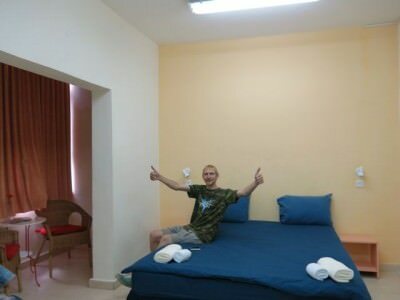 I initially was only going to stay a few nights, but I was in love with the place so I stayed 6 days in the end, did a load of tours with them and thoroughly enjoyed it. Easily the best hostel in Israel and probably sneaks into my top 5 hostels of all time. I can’t big the place up enough! If you’re ever heading to Jerusalem, make sure you stay here! 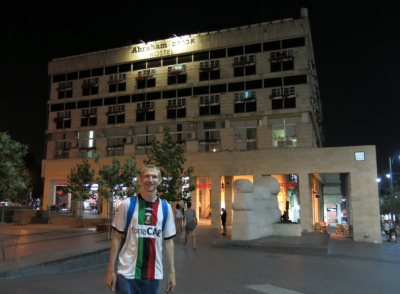 This entry was posted in Accommodation, Central Asia/Middle East, Destinations, Hostels, Israel, Jerusalem. Bookmark the permalink. 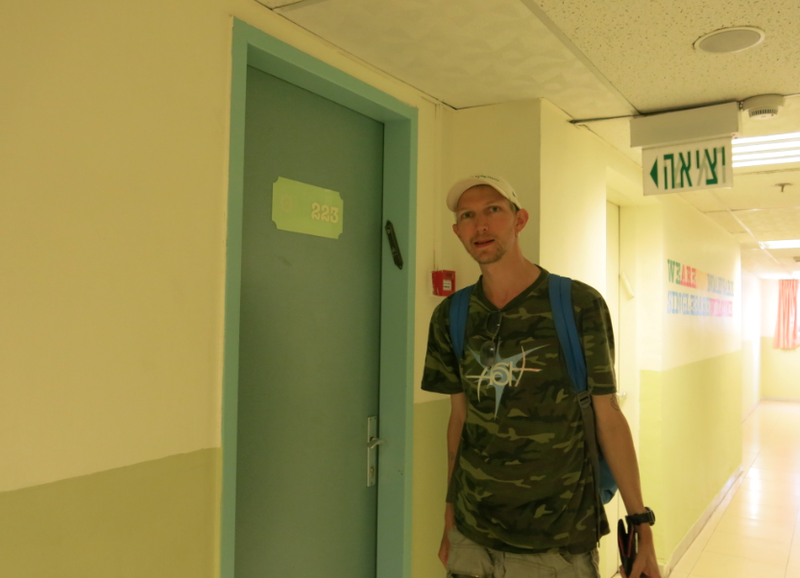 Man, that does seem like the atypical Hostel (i.e. 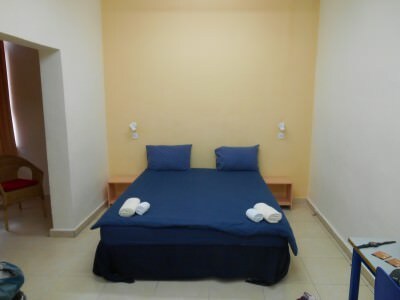 clean, organized, Wi-Fi, private rooms, etc.) I’ve stayed in a couple decent Hostels in Belize and Greece a few years back, but nothing like this. That’s for sure! We’re staying here next month!